What 'me-time' means to editor Luke Benedictus of Men's Health magazine. Who doesn't want some more 'me-time' in their lives? 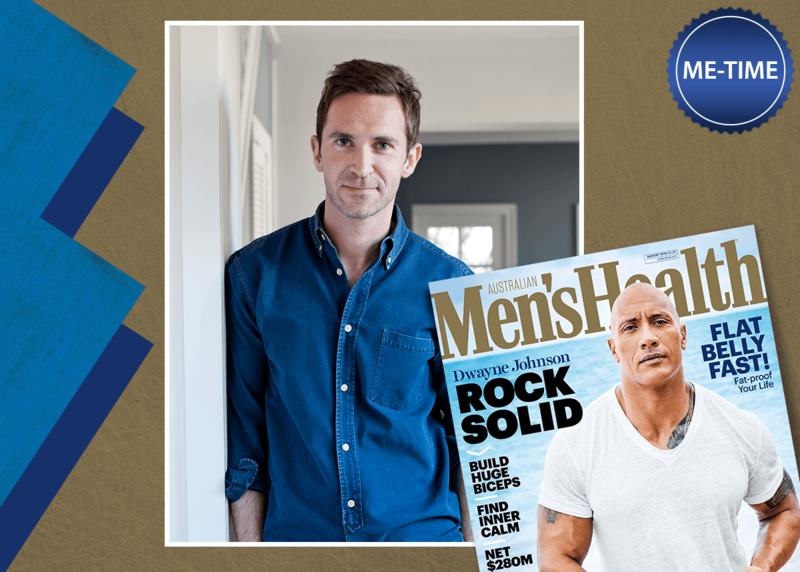 We speak to Editor Luke Benedictus of Men's Health to discuss why it's essential to take some time out for yourself or better yet give some 'me-time' to your Dad! No excuses...! Being not only the Editor of Men's Health, but also being a Dad could you tell us why it's essential to make time for yourself with some 'me-time' ? I’ve got my hands full at the moment. At home, I’ve got a three-month old baby and a hyperactive toddler who woke up today at 4.15am! Throw in a hectic job and life is pretty relentless, as I’m sure it is for most of you, too. But everyone needs time to recharge otherwise you’re going to burn out. The pace of life keeps accelerating and it’s never going to slow down. That means it’s up to you to make your own boundaries and carve out some time to mentally decompress. Why do you think magazines and 'me-time' make the perfect combo when taking time out for yourself? Reading a magazine is like taking a mini-break for your mind. It’s a portable source of escapism that’s proven to help you unwind. One British study found that reading for just six minutes can reduce your stress levels by up to 68%. Why do you think Men's Health will make the perfect gift for Dad this Father's Day? A Men’s Health subscription offers a friendly nudge each month to take control of your mental and physical wellbeing. Sure, it offers the latest tips on how to get fit, beat stress and cook great recipes. But it also delivers a regular dose of inspiration to start (or maintain) a healthy lifestyle. The basic message – take one step today to become a better man tomorrow – is so positive and life-affirming. Better still, our September issue sees the launch of our new fatherhood section, MH Dad. It’s packed full of brilliant advice on how to survive and thrive in the chaos of modern fatherhood. You really couldn’t find a more relevant Father’s Day gift. On this day 40 years ago we lost the king of rock & roll..